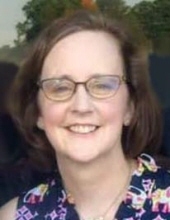 Mrs. Barbara Reid Skeen Caudill, age 50 of Millers Creek, passed away Monday, April 8, 2019 surrounded by her loving husband and children. Funeral services will be held 2:00 PM Saturday, April 13, 2019 at Reins Sturdivant Chapel with Rev. Tad Craig, Rev. W. Mark Hall and Phillip Eller officiating. Burial will be in Mountlawn Memorial Park. The family will receive friends from 12:00 until 2:00 Saturday prior to the service at Reins Sturdivant Funeral Home. Mrs. Caudill was born March 17, 1969 in Forsyth County to Carl Hoover Skeen and Mary Patricia Hughes Skeen. She was employed by Chick-fil-a and was a member of Wilkesboro Baptist Church. Mrs. Caudill is survived by her husband; Joey Caudill of the home, two daughters; Molly Elizabeth Caudill of Pittsboro and Katie Lauren Caudill of Kannapolis, two sons; Joel Edgar Caudill and wife Courtney of Asheboro and Evan Benjamin Caudill of Asheboro, a granddaughter; Avery Patricia Pfeiffer, two sisters; Mary Higgins and husband Thomas of Asheboro and Kathleen Eller and husband Larry of Purlear and three brothers; Eddie Skeen of Millers Creek, Joel Skeen and wife Renee of Millers Creek and Bruce Skeen and wife Annette of Salisbury Maryland. Flowers will be accepted or memorials may be made to the American Cancer Society PO Box 9 North Wilkesboro, NC 28659. To send flowers or a remembrance gift to the family of Barbara Reid Skeen Caudill, please visit our Tribute Store. "Email Address" would like to share the life celebration of Barbara Reid Skeen Caudill. Click on the "link" to go to share a favorite memory or leave a condolence message for the family.